My name is Kevin Lynch. 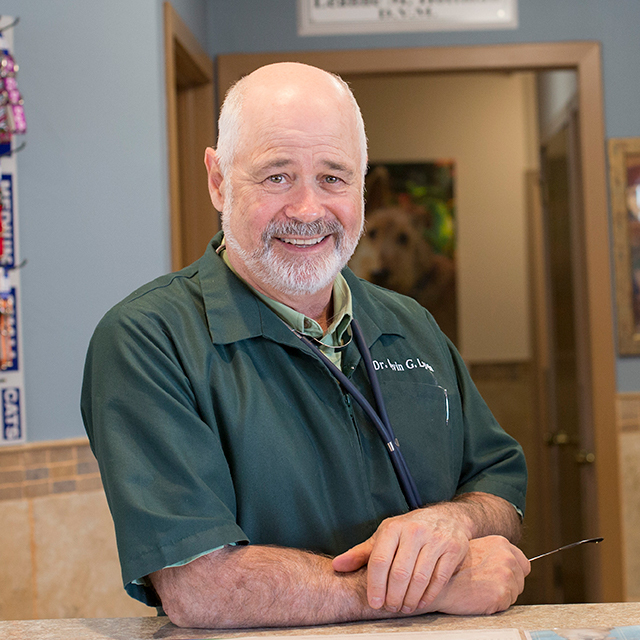 I am the veterinarian and owner of The Moriches Hospital For Animals. I renovated the building and opened our practice in April, 1974 as a 1973 graduate from Cornell Veterinary College. I love Long Island and fell in love with the rural suburban quality of the Moriches area. What I love the most about my job as a veterinarian are the pets and the people who love them that I meet every day. Every day is an experience in intellectually stimulating medical diagnosis and treatment, combined with a passion for pets that everyone who visits and works at the practice share. It is a uniquely uplifting experience. Even when times are sad, I am humbled by the love shown in my presence. I have had almost every breed, and combination, of dog. I have had innumerable cats share my home. I currently have an ageing Irish Terrier who was rescued with two broken front legs and a broken tail. His name is Logan and he is incredibly handsome. My wife and I have also rescued two cats. Our grey cat, Gregory is a love bug. He always wants to be held or sit in your lap. He will jump five feet to your shoulder – with or without letting you know in advance. The other cat, Tibby, lets my wife love him and he loves her back. When I am not caring for pets, I love to go fishing. I love being on the water, joking around with my buddy, and hooking a big one. I even love cleaning the fish and eating them. When the weather and season don’t permit fishing, I love to take photographs. I want to be a better photographer and get a bigger zoom lens so I can get close-ups of wild birds and animals. I also love to write poetry and sing happy birthday songs to strangers in restaurants. I love the challenge and excitement of meeting new people wherever I go.